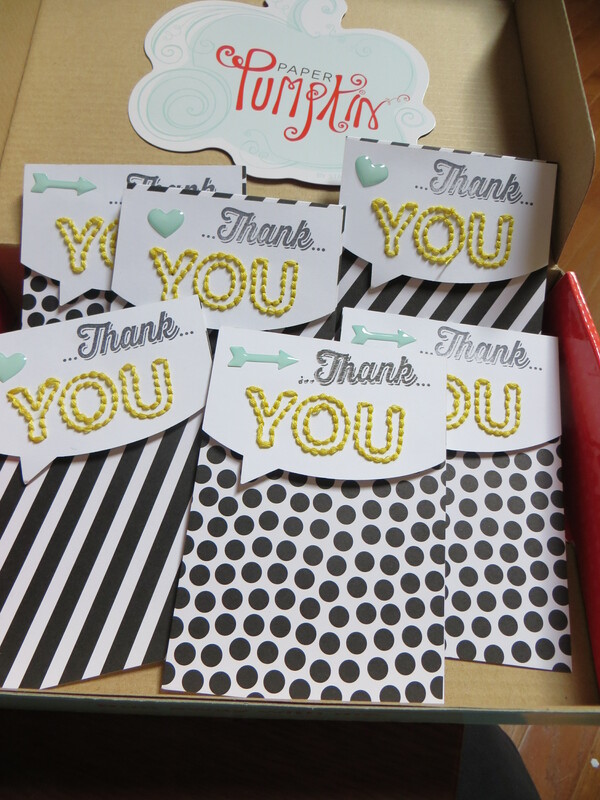 I was “sew” thankful for the March My Paper Pumpkin kit because I needed lots of birthday thanks. I always squeal with delight when the little red box shows up in my mailbox but this month’s kit was perfect timing for me. 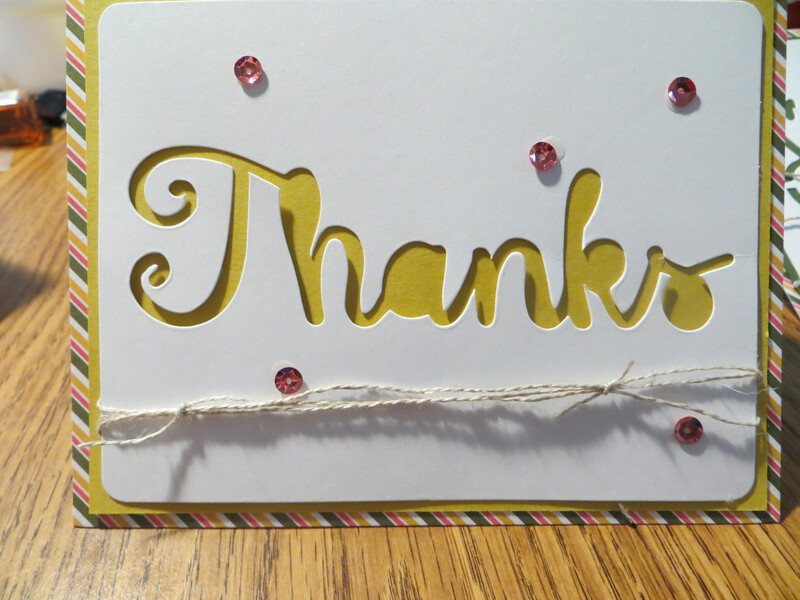 Once the kit arrived I took the time to sew each of the cards and designed it as directed in the kit using the Thank stamp that came in the kit. I saved 2 of the 9that came in the kit so I could use as an alternative design-will post later because I have not done anything with them. The My Paper Pumpkin kits are perfect for any crafter. If you want to a subscription to My Paper Pumpkin you can by subscribing here. 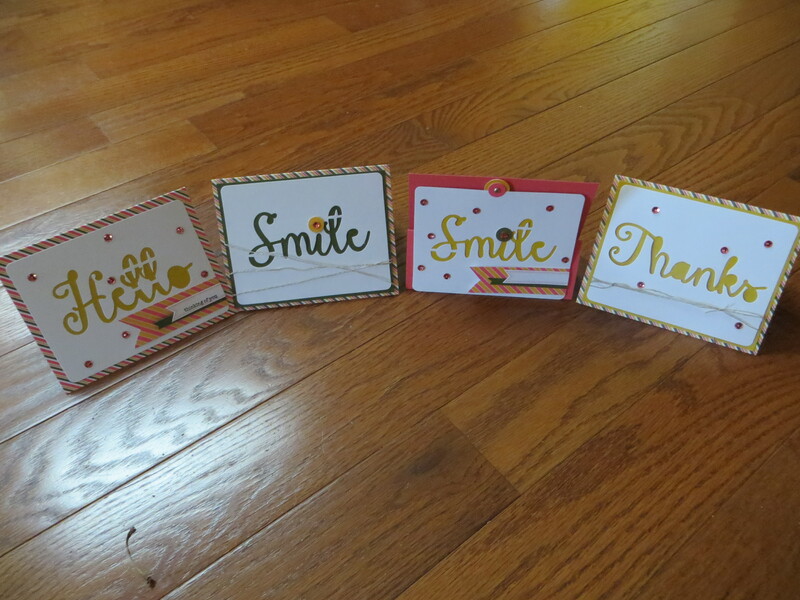 I have been receiving the Stampin Up My Paper Pumpkin kits for about 10 months now and I must say that I have had a lot of fun making them each month but the January kit has been my favorite to date. These kits are $19.95 a month + shipping and they are fun and very easy to put together! They come with a booklet for instructions and pictures. Also online there are video’s to watch. 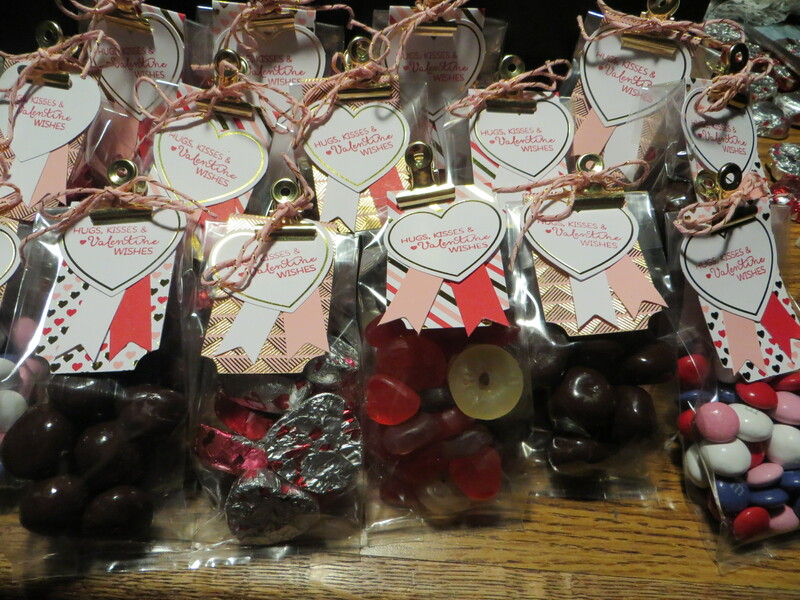 This January 2015 kit comes with everything but the candy to complete 24 candy bags! Today’s 2nd post is one of the adorable presents that I made for the Christmas Countdown Muffin Tin Advent calendar. This tree was made using the October 2014 Sweet as Pie My Paper Pumpkin kit. I stamped the flat box with random pine cones using the Christmas wishes #135107 stamp set from the Stampin Up holiday catalog. I added random stars with using a star punch and the Star Framelits #133723 and then folded up the tree. 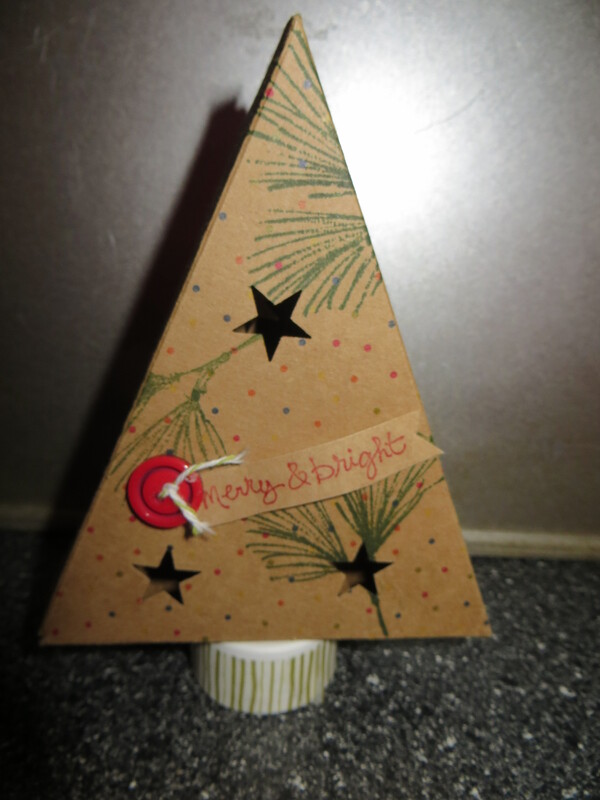 I added a battery operated tea light that I wrapped with Watercolor Wonder Washi Tape #133000 to the bottom of the tree. I accented the tree with a real red button and a Good Greetings sentiment. When turned on the light shines thought the stars and makes for a cute mantel piece. 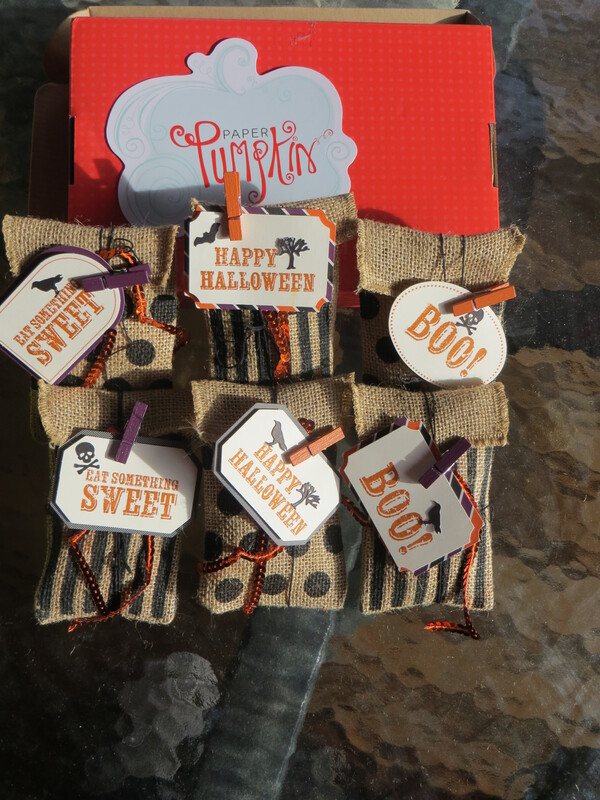 Anyone who knows me knows that I am a sucker for all things Halloween and I love the Stampin Up My Paper Pumpkin kits that come each month. 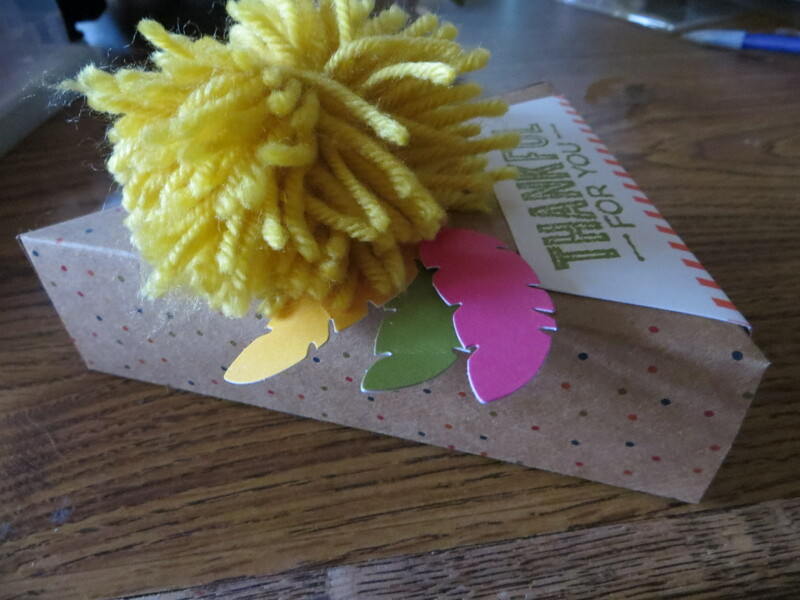 Today’s post is how I used the September Boo-tiful Bags kit. 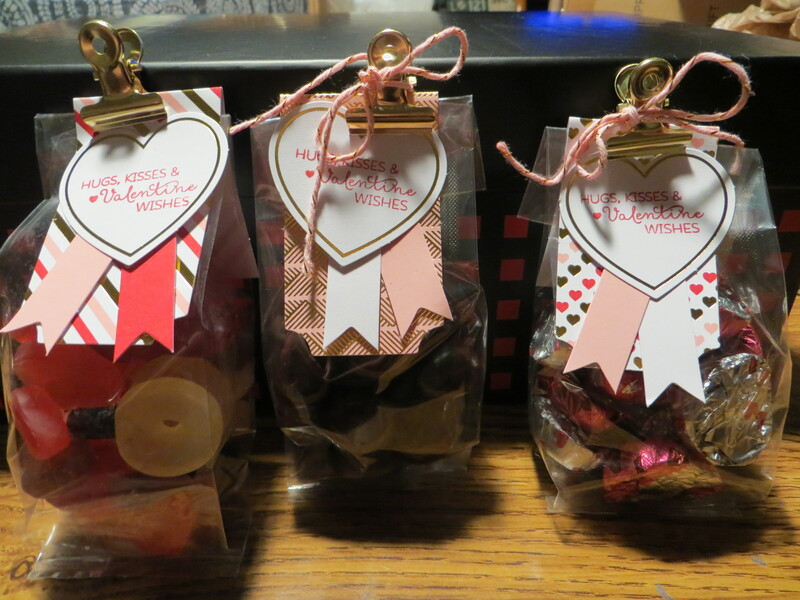 It was fabulous everything I needed except scissors and the candy to fill the bags was included in the kit so I was able to make 6 treat bags in a snap. The best part is I have left over stickers and tags and want to make a few cute cards for Halloween. In case you don’t know what paper pumkin is visit the paper pumpkin website to check it out and contact me if you want to subscribe or purchase a pre-paid subscription. Once you are signed up you will get your own paper pumpkin kit complete with all the ink, stamps, pre-cut and measured paper and embellishments to create your sweet projects. Once you subscribe, you will anxiously await for your paper pumpkin kit to show up in your mailbox each month. I thank my lucky stars that I am a Stampin Up Paper Pumpkin subscriber. Every month I anxiously await for my Paper Pumpkin kit to arrive and I drop everything to complete the kit. 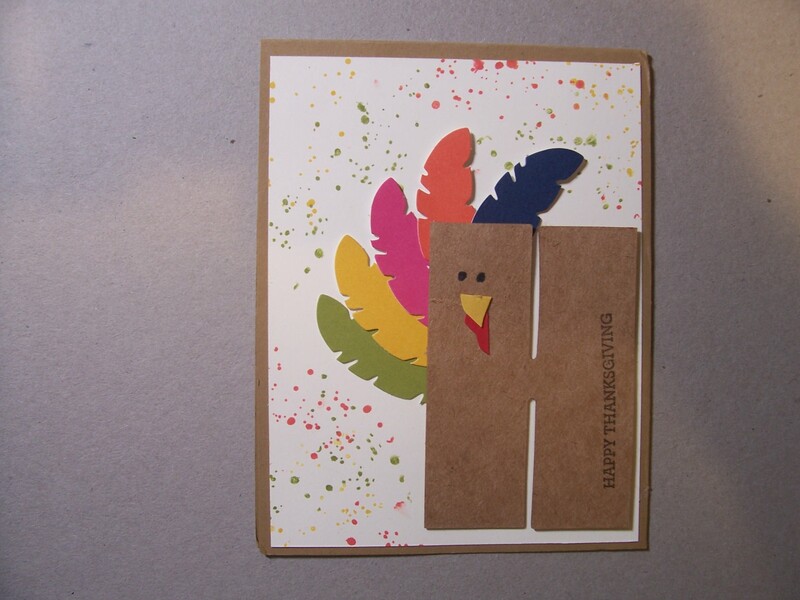 Then I usually have extra stuff from the kit left over that I combine with our Stampin Up supplies I have on hand to further extend the Paper Pumpkin kit. 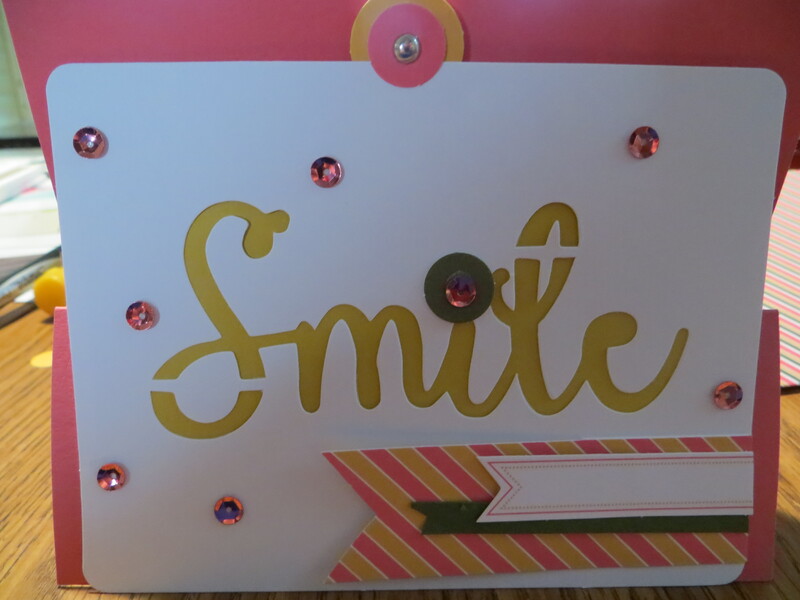 Today’s card is what I did with the left over stars from my July Paper Pumpkin kit. 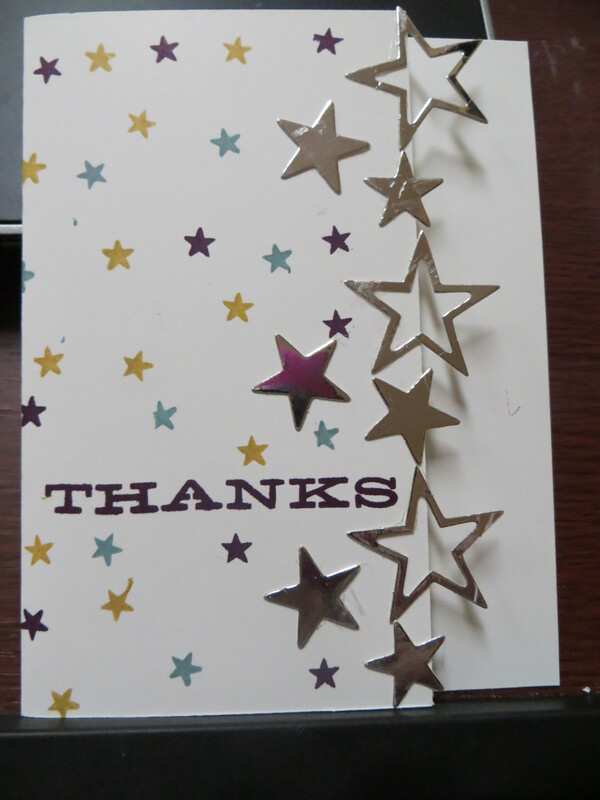 I just trimmed the edge of the front of a card base and randomly stamped mini stars and the sentiment then added the silver stars along the edge. Super easy and fun to create. In case you don’t know what paper pumkin is visit the paper pumpkin website to check it out and contact me if you want to subscribe or purchase a pre-paid subscription. Once you are signed up you will get your own paper pumpkin kit complete with all the ink, stamps, pre-cut and measured paper and embellishments to create your sweet projects. 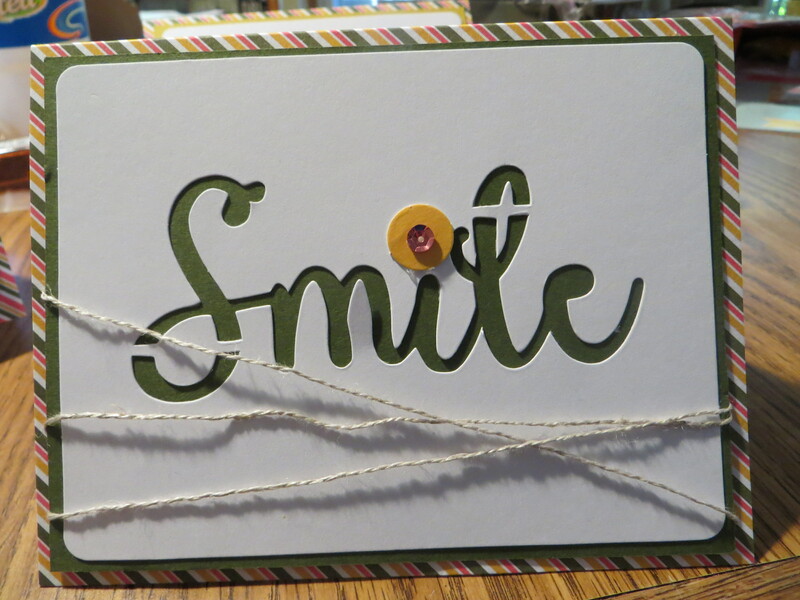 Today’s post is another look at how I used the Aug 2014 Paper Pumpkin kit by using a few added supplies I had on hand. 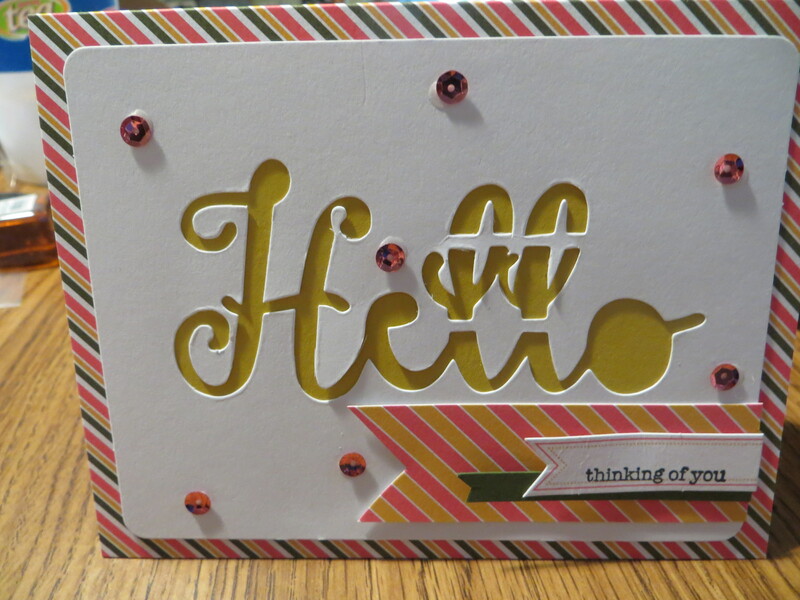 Love the fun colors and the simplicity of the cards in the kit but I thought the striped cardstock took away from the cute cut out words so I used solid cardstock to make the words pop! Each month a Paper Pumpkin kit comes to you and is a fully designed project kit arrives in an adorable box filled with stamps, ink and paper – everything cut and ready to go. Just think of it as creativity in a box! All you need are some scissors, adhesive and your paper pumpkin kit. Paper Pumpkin kits are perfect for the crafter who is too busy to design her own cards, the crafter who travels for their job-paper pumpkin kit can tuck right in your suitcase, or a beginner that does not want to have a huge investment in supplies paper pumpkin is right sized for you. No matter what kind of crafter you are Stampin Up’s Paper Pumpkin is for you because it is not messy, no extras are needed and it creates no crafting aftermath.